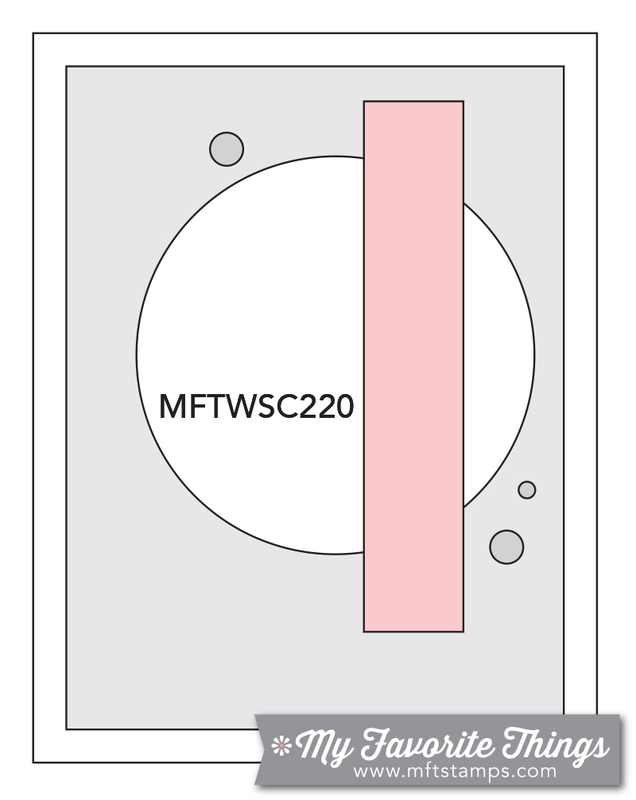 I loved the pink and navy color scheme, as well as the white space and sprinkling of elements. 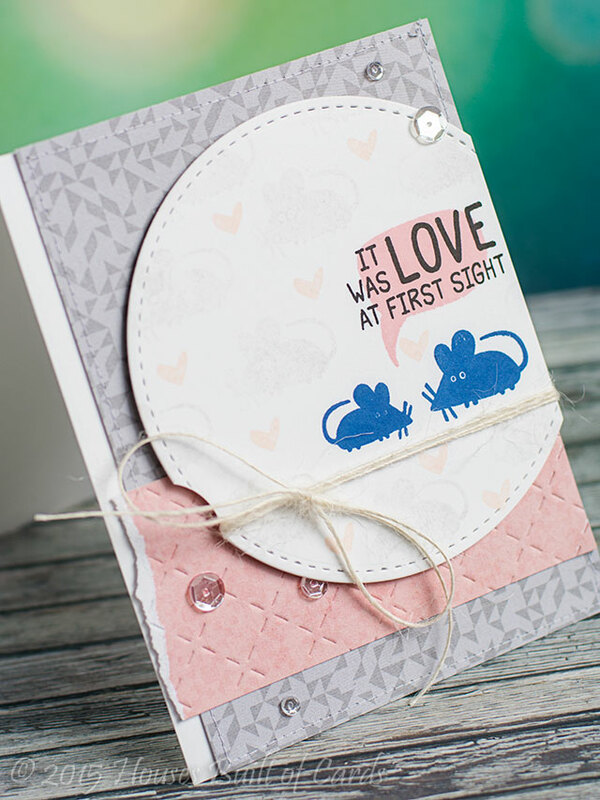 I used MFT inks - the background is particularly hard to see in the photos, but I stamped the mice in very soft gray for a background, then one of the heart elements from the stamp set. The mice are actually a darker navy than this photo shows, but it was the only way I could get the background mice to show at least a little bit! I used some American Crafts pattern paper, a couple of Lil' Inker's Dies, a few Pretty Pink Posh sequins, a bit of machine stitching, and some jute twine to finish it off. Make a wish - and Happy Birthday! 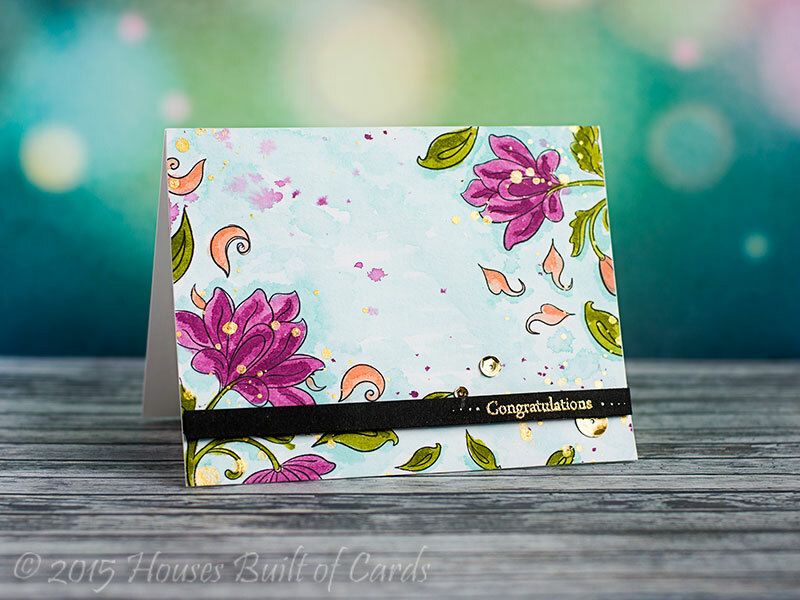 Today I'm sharing a couple cards I made using the "smooshing" technique! 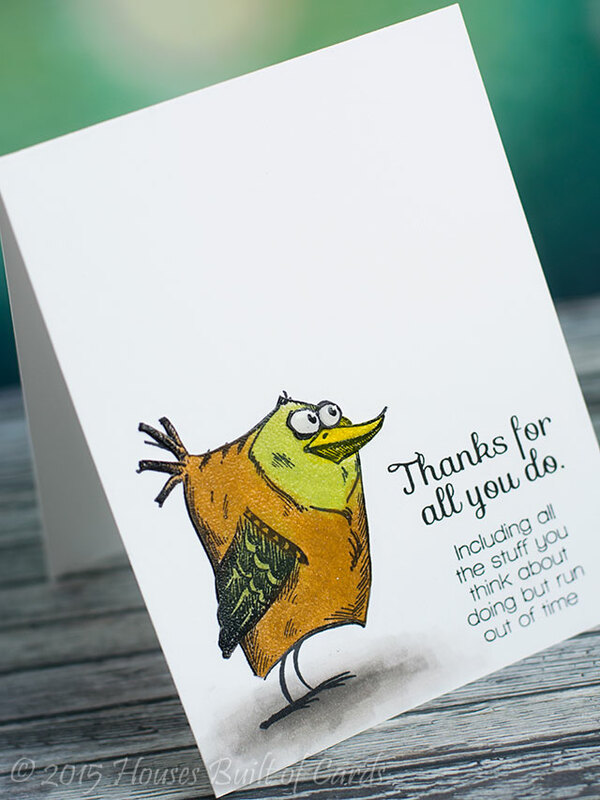 I basically used a few different ink colors, smooshed them on my nonstick mat, misted with water, swirled together a bit with my fingers to smooth the edges, then smooshed my cardstock in there and allowed to dry before adding my images and sentiments. 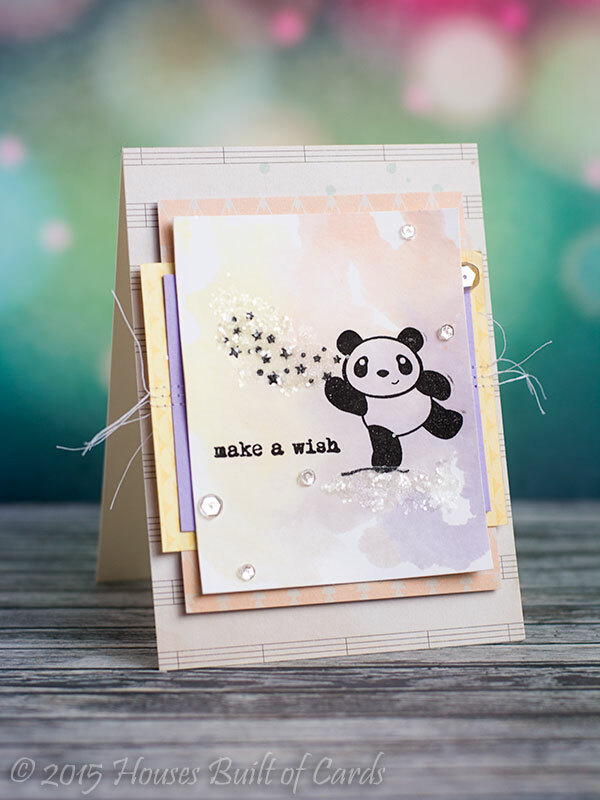 This first one, I used a soft color combo, then used Plenty of Pandas to add my image and sentiment. Oh how I love these sweet pandas! I added some pattern paper layers stitched together, some Glossy Accents and glitter, and a few sequins. 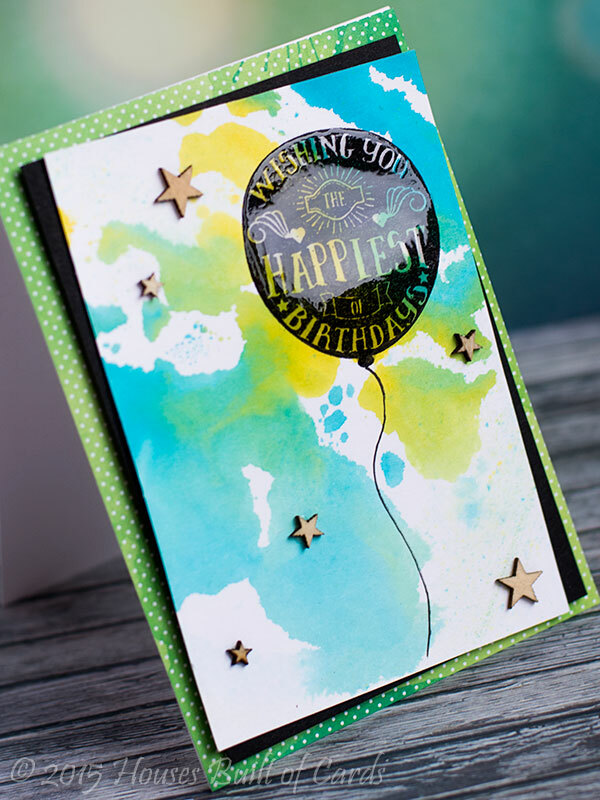 I used this fun set that I just love, Far Better Things Ahead Grab Bag - LOVE the variety in this set! Thanks so much for stopping by one more time to see me today! Have a wonderful day!!! I also made this for a few challenges - first up, the 30 Day Coloring Challenge. This actually worked for two days - the birds were all done one day, and I added the coloring under them the next day! Now - here are close ups of each one! 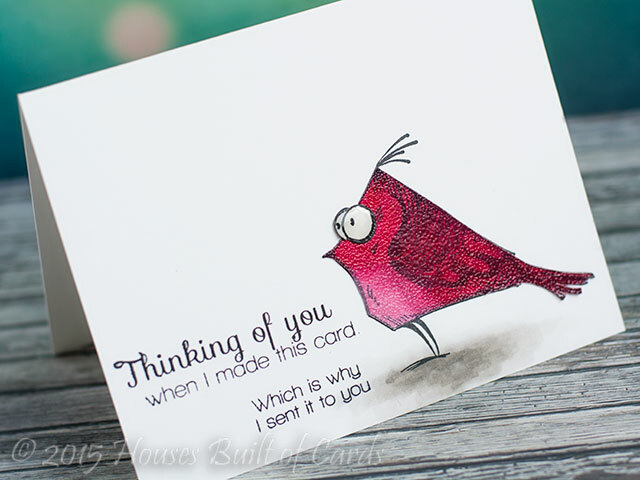 I paired them up with sentiments from Simon Says Stamp's Inside and Out Sentiments - although I used all the sentiments on the front. 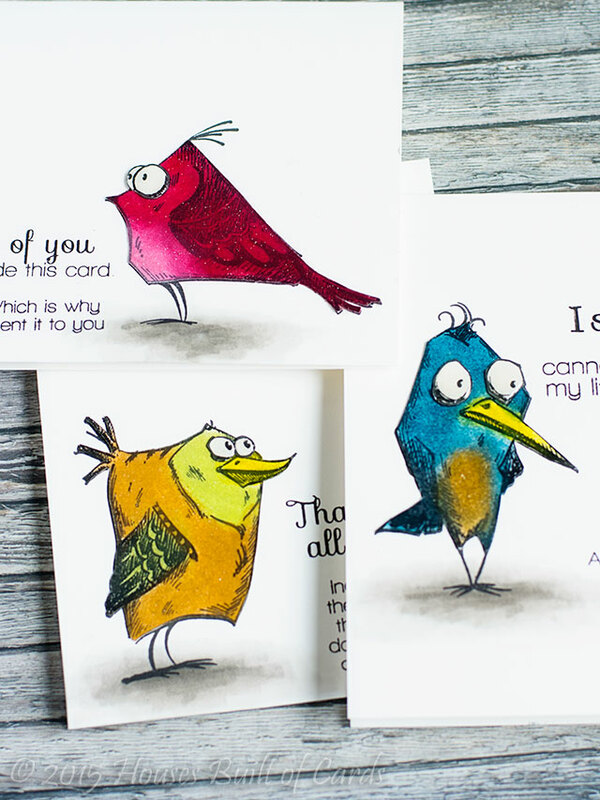 I used Jennifer Mcguire's technique of coloring with pigment ink for these images. Love how it worked! I used some Memento Luxe ink in a couple different color combos, and just dipped my finger in, and smeared it around. 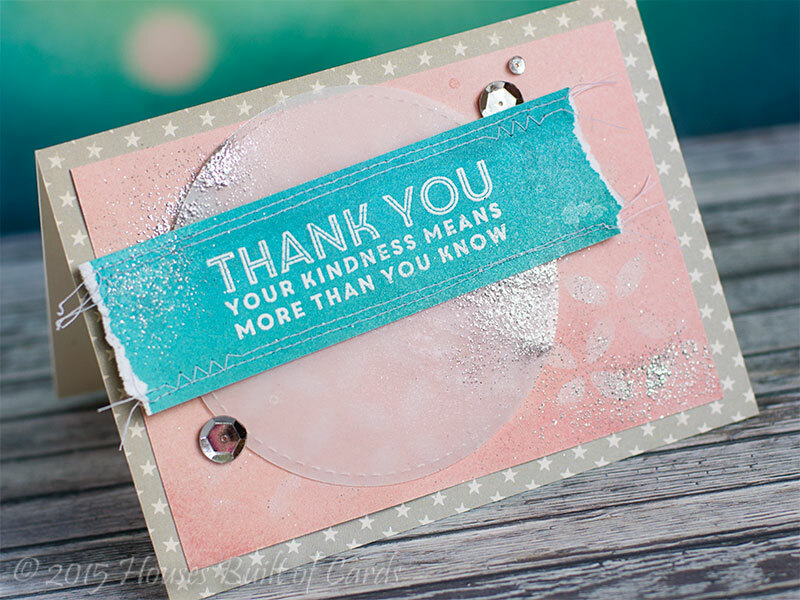 I then covered them with clear embossing powder and heat embossed for the same shine she had on her projects. 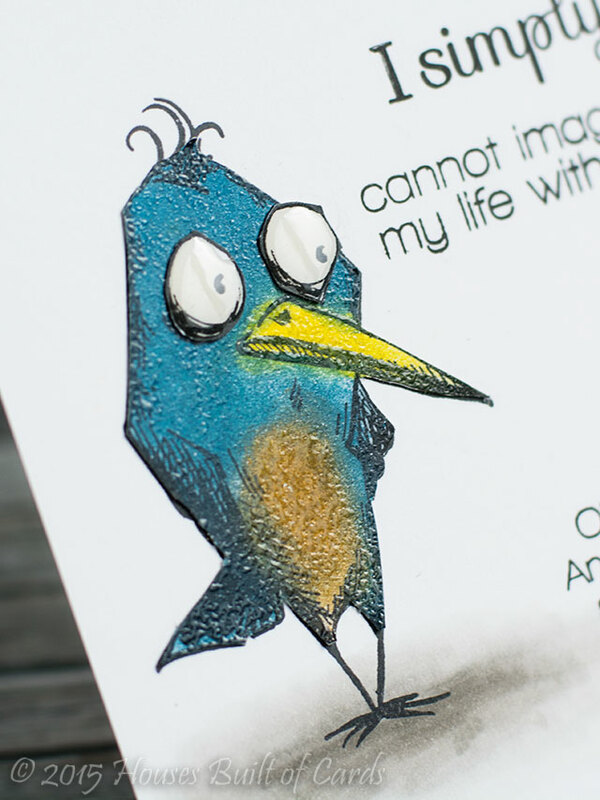 I fussy cut them out, and then paper pieced them onto my card base to make sure the legs and finer details showed up. So cute and fun! These are quickly becoming a new favorite! 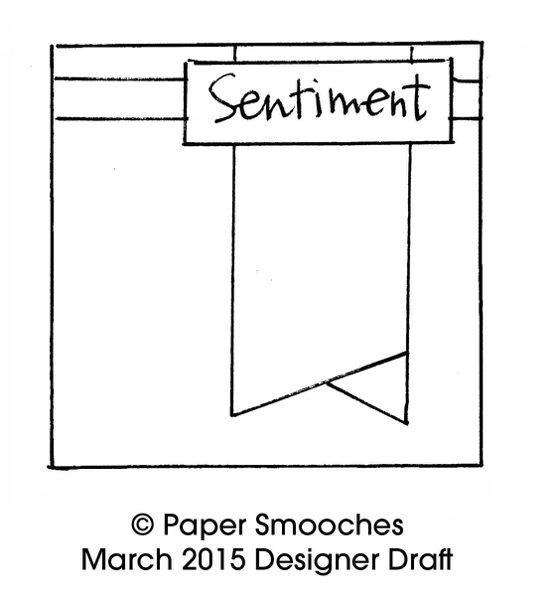 I followed the sketch for this weeks Paper Smooches SPARKS Challenge - such a fun sketch this week! 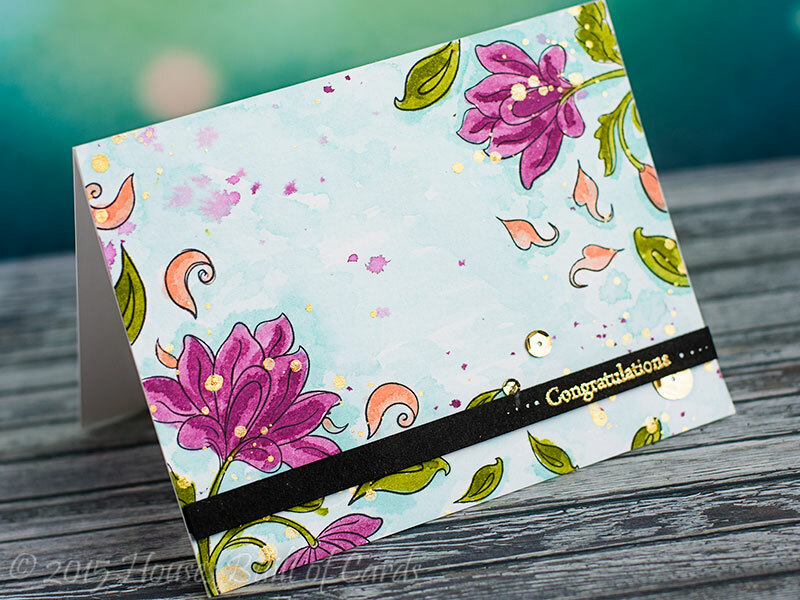 I actually used several of the fun goodies I got from Butterfly Reflections Ink - you may have seen that I am joining the Design Team over there! My term is from April to June! I'll be posting more about it on the 6th with my first post over there. 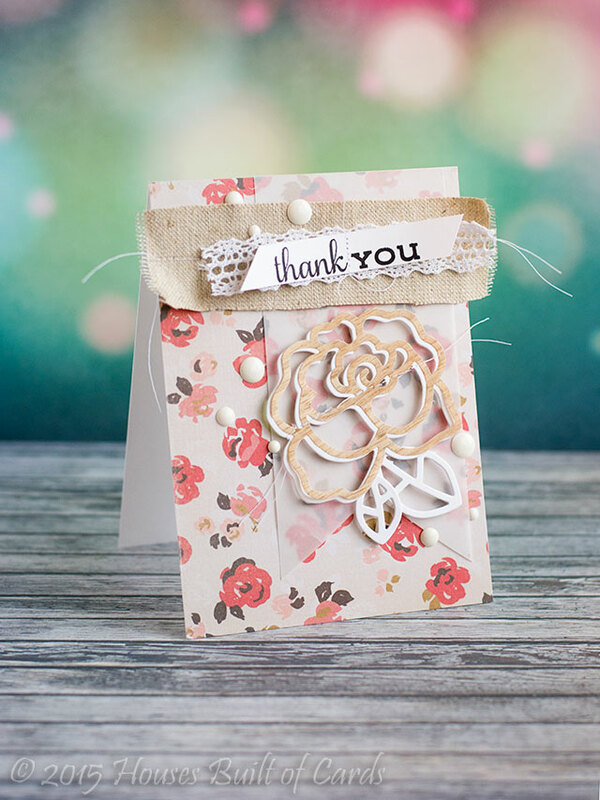 I started off with Crate Paper's Kiss Kiss 6x6 paper pad, and used Paper Smooches Rose Die to cut out the flower - once in white, then again in a thin wood veneer from my stash. 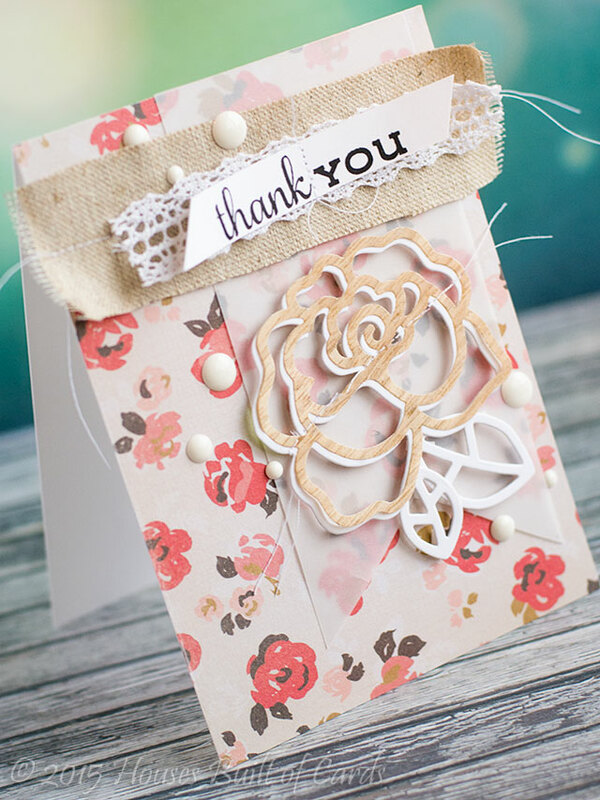 Some May Arts linen ribbon and lace all layered together with some machine stitching, and a sentiment from the coordinating Paper Smooches stamp set, Lovely Thoughts help finish this off. 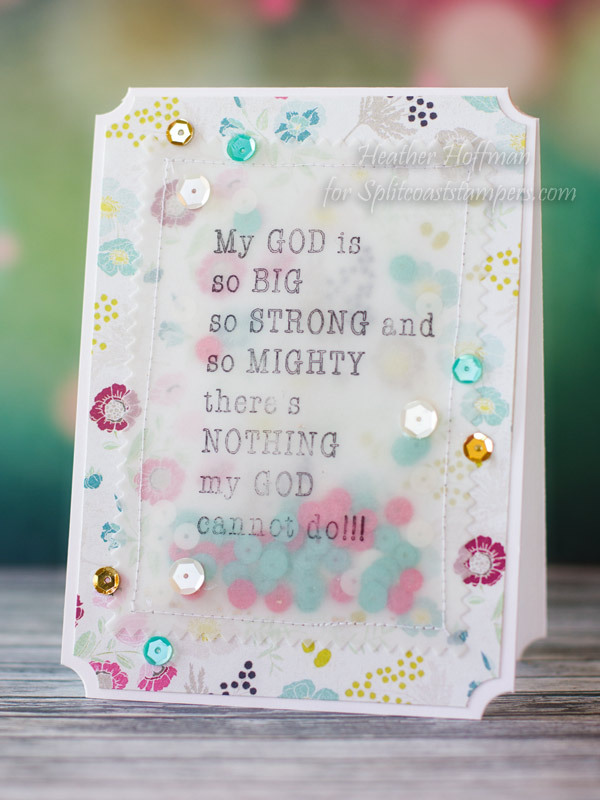 I used vellum for my banner, and couldn't resist a few enamel dots to finish it off! Good morning! 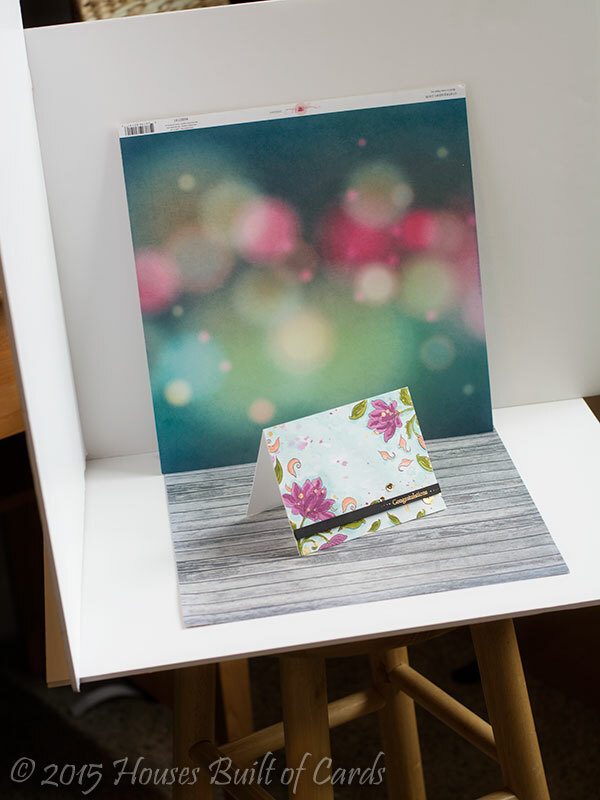 Thought I'd drop by with a card this morning for a couple of challenges - and I have also gotten a lot of questions in the past about how I photograph my cards, so I thought I would share a few pictures of my set up in case it might help someone else! 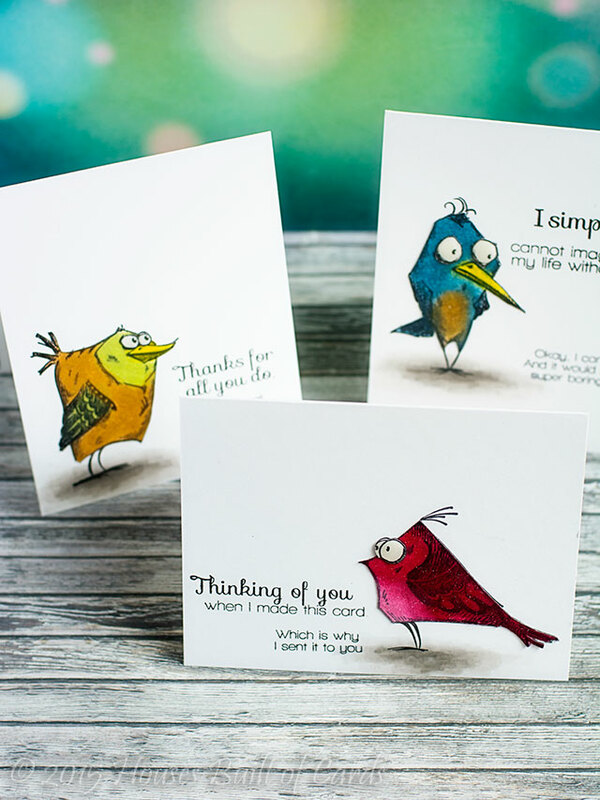 I enjoy photography almost as much as making cards - and love having crisp, clear photos to share. It has taken me quite a while to come up with a system I love, and that process will probably grow and change more as time goes on, but for now I'm pretty happy with what I'm doing. I used the lovely (new to me!) Altenew set called Persion Motifs, and stamped a pattern with Versamark ink on the smoother side of some Ranger watercolor paper. I used some MFT dye inks to watercolor this - they work perfectly if you just smoosh them on your nonstick mat and add water! 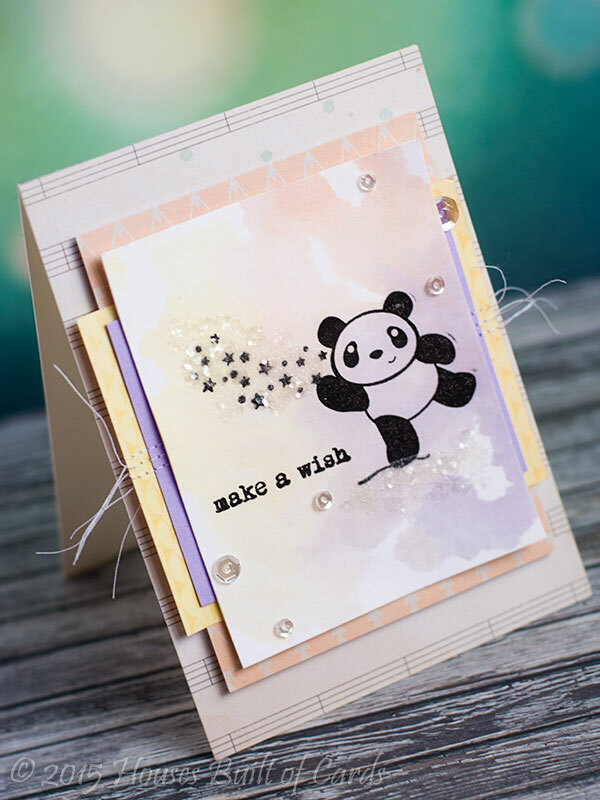 The sentiment was heat embossed in gold on a strip of black cardstock, I added some Heidi Swapp Color Shine in gold flicked on the watercolor paper, and finished off with a couple of Pretty Pink Posh gold sequins. I have 3 pieces of foam core board - the top two are taped on the back with Washi Tape, so I can fold them up and put them away, and I have a couple pieces of 12x12 pattern paper that I prop up inside. 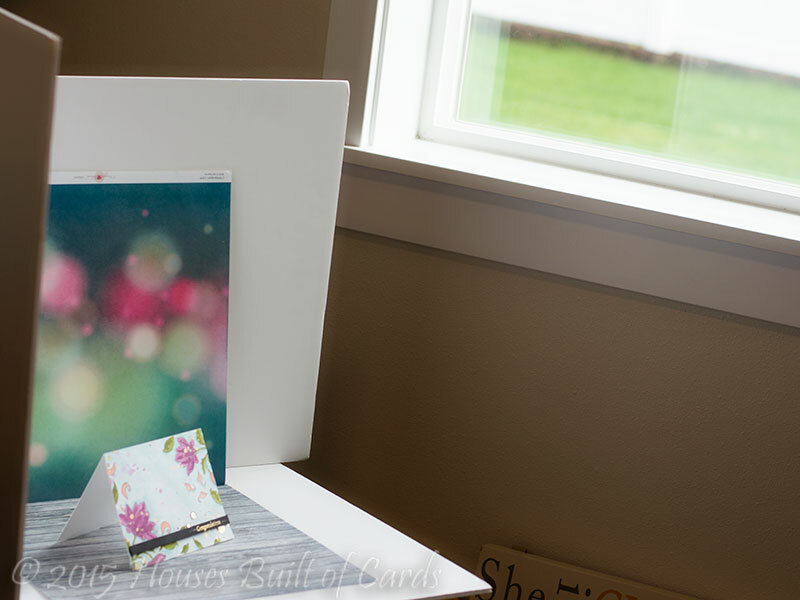 The whole thing sits on a tall stool that I can set next to the window in my craft room to catch the natural light during the day. I angle it whatever way I need to, depending on the time of day, to catch the best light. 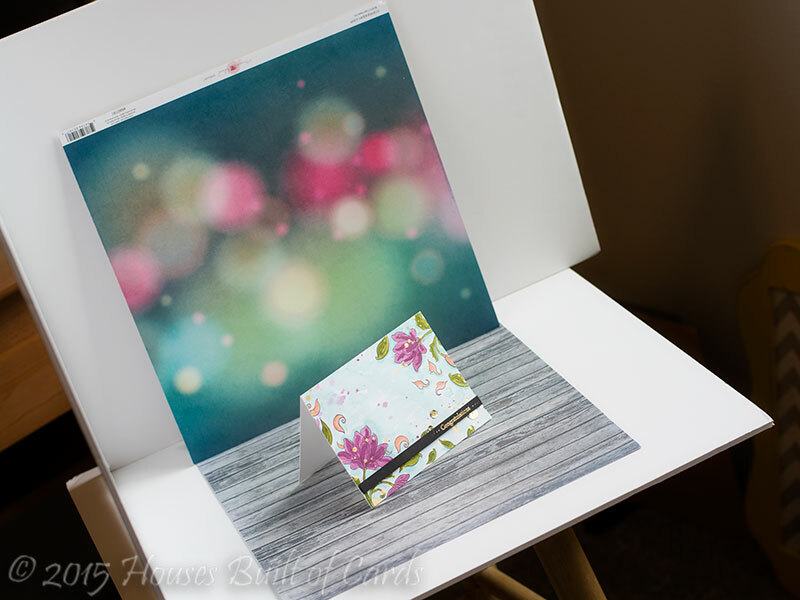 The foam core board is a new addition - but I found that it helps so much with eliminating the shadows from the back and left side of my cards - the white bounces the light back and reflects it on the side of the card not facing the window. I shoot with a Nikon D7100 right now - with a 50 mm lense. I always shoot in RAW format - I find that it gives me the most adjustments. Up until just a month or two ago I had a Canon DSLR, but I am so in love with my new Nikon! I edit my photos in Adobe Photoshop, and use a photo editing plug-in called Rad Lab (you can check it out HERE) that I love! It gives me the ability to edit my photos and see exactly what they look like as each change is applied. Anyway - if you have any questions, please feel free to ask! I would love to answer anything you might be wondering about - and I hope this gives you new ideas on photographing your projects as well! 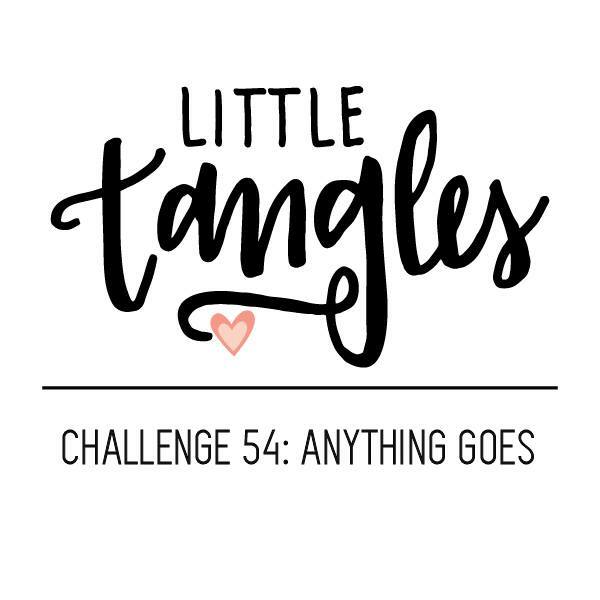 Would also love to see what other people use, so if you have a blog post, feel free to link up in the comments so I can check it out! Thanks so much! Have a wonderful day!!! Good morning! 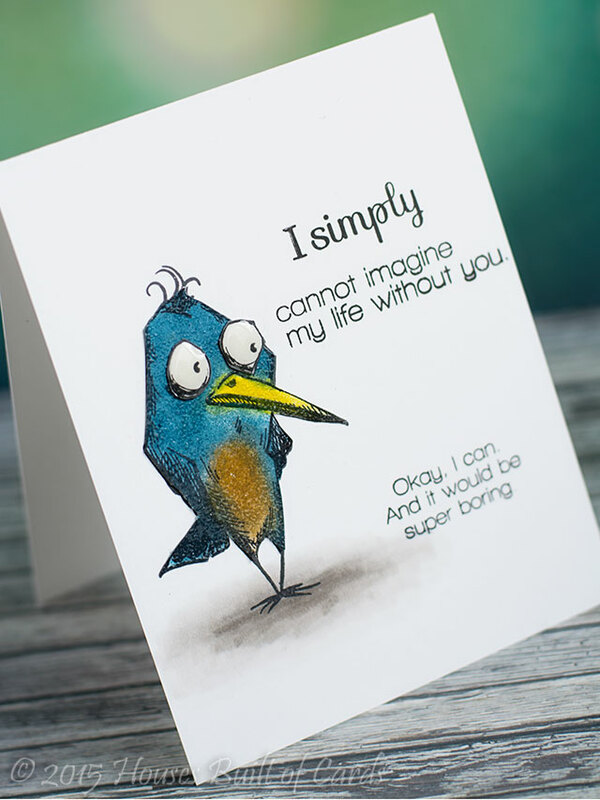 Excited to be stopping by this morning with a card for Unity Friends with Flair! I played around with a technique called "Ink Smooshing" - and I LOVE the effect it gave! 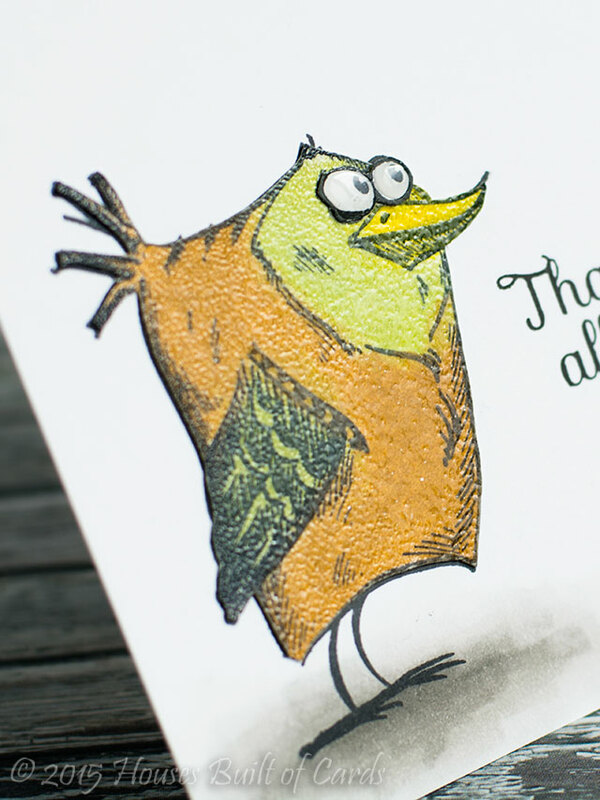 I used some MFT dye inks, smooshed them on my non-stick mat, misted with water, and then used my fingers to soften the edges a bit before smooshing my cardstock into it. 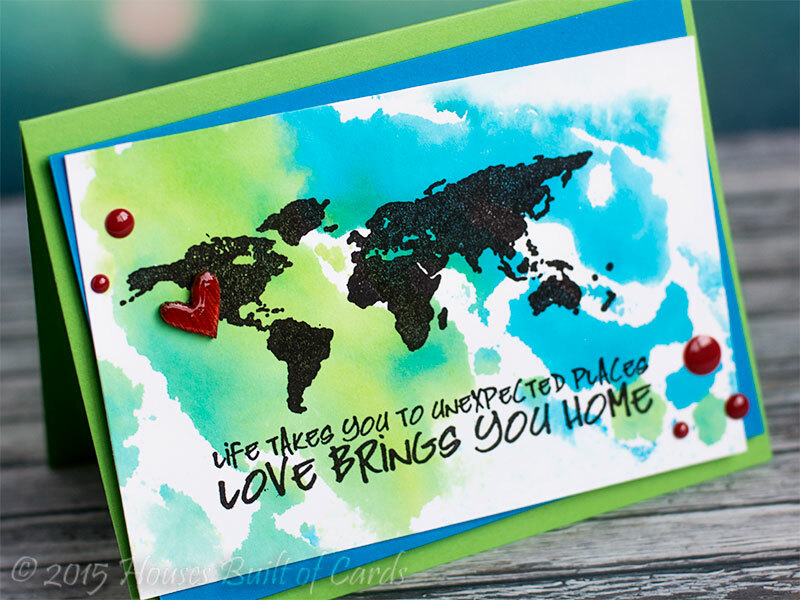 Once it dried, I stamped my image and sentiment from the wonderful Love Brings You Home set. Finished off with some coordinating MFT cardstock, some enamel dots, and a wood veneer heart that I colored with Copics to match my enamel dots, and covered with Glossy Accents for some shine. Good morning! 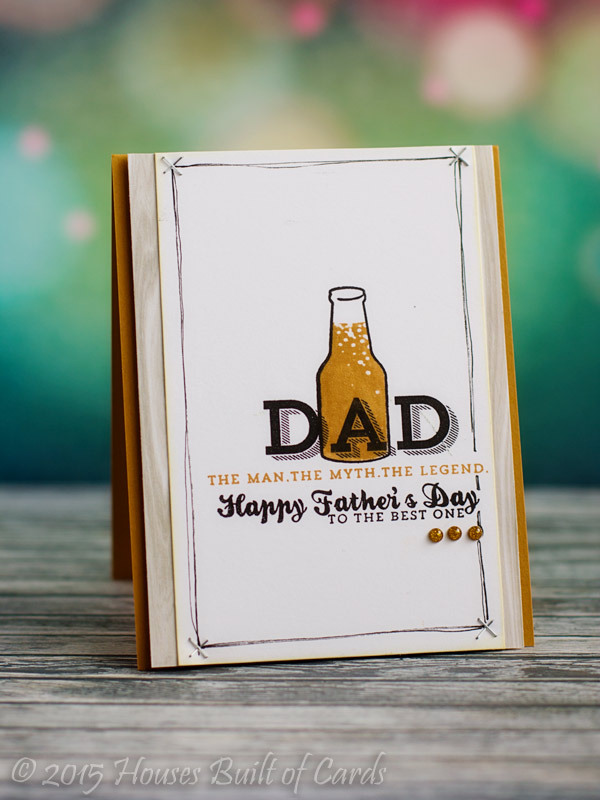 Dropping by this morning with a card I made a little while back with a stamp set I had been eyeing for quite some time and finally got my hands on - I used it to make a Father's Day Card! 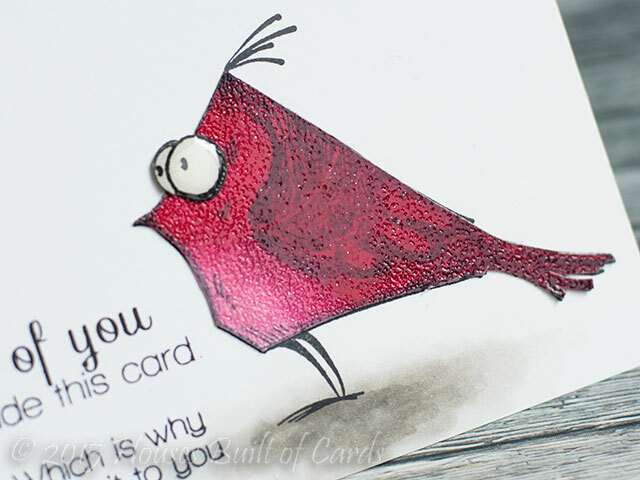 The stamp set is from Avery Elle called The Man - and I used some MFT ink and cardstock on my card, a few enamel dots, a couple tiny Tim Holtz staples, and a tiny bit of MME woodgrain paper. 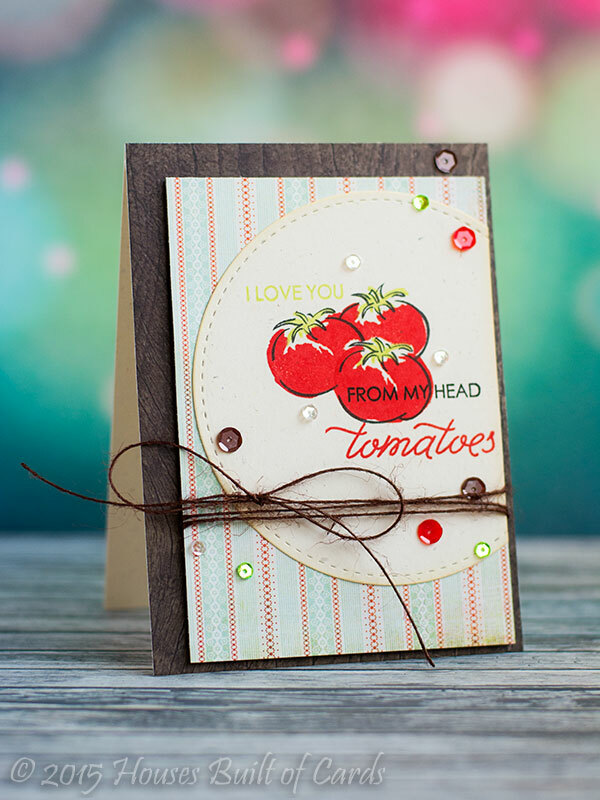 I used Punny Produce: Tomatoes - this sentiment cracks me up every time! Pretty straightforward card - a bit of masking, some Pretty Pink Posh sequins, some Basic Grey and MME pattern paper, and a bit of jute twine! 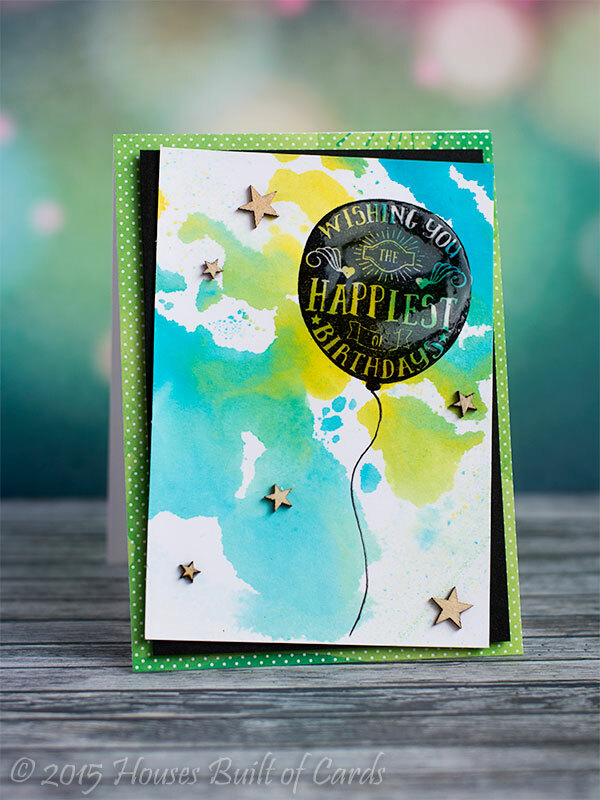 First up, I used the current Color Combination - SOOOO pretty! I used some October Afternoon and My Mind's Eye pattern paper that matched the color combination - and used a circle of vellum for some softness. 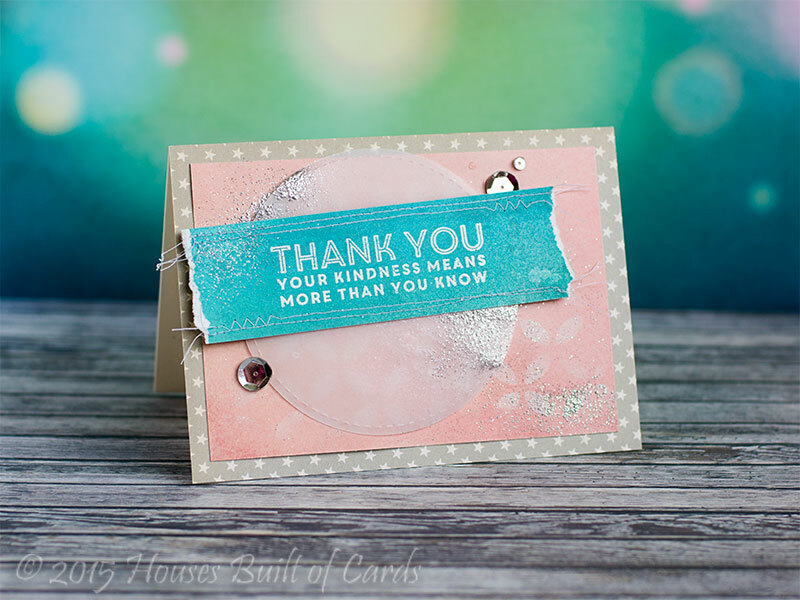 I used MFT Petal Circles stencil for the background on the coral paper with some Sweet Tooth pigment ink, and heat embossed my sentiment from LJD Words of Inspiration. 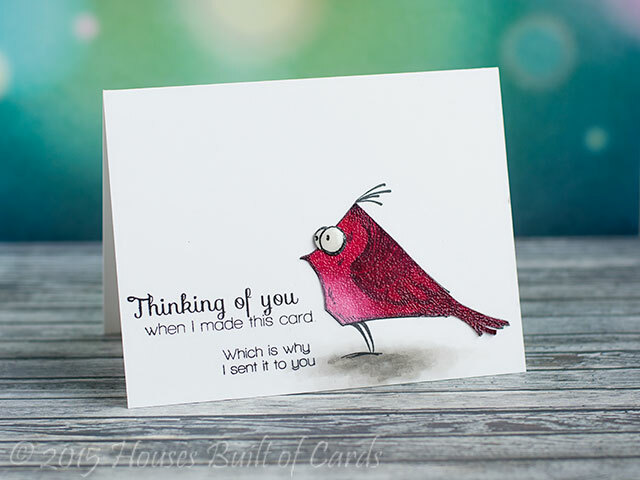 Used some Silver Pretty Pink Posh sequins - that I just noticed MFT is carrying! Woohoo!!! 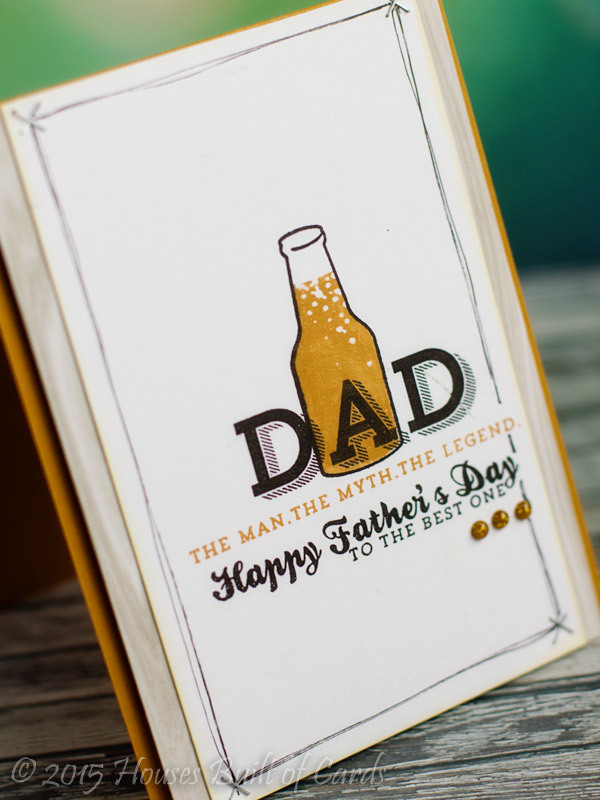 To get the silver dusting, I sprinkled on some silver embossing powder, and heat embossed from underneath the card so it didn't blow off. Kind of a fun glitter effect! Good afternoon! 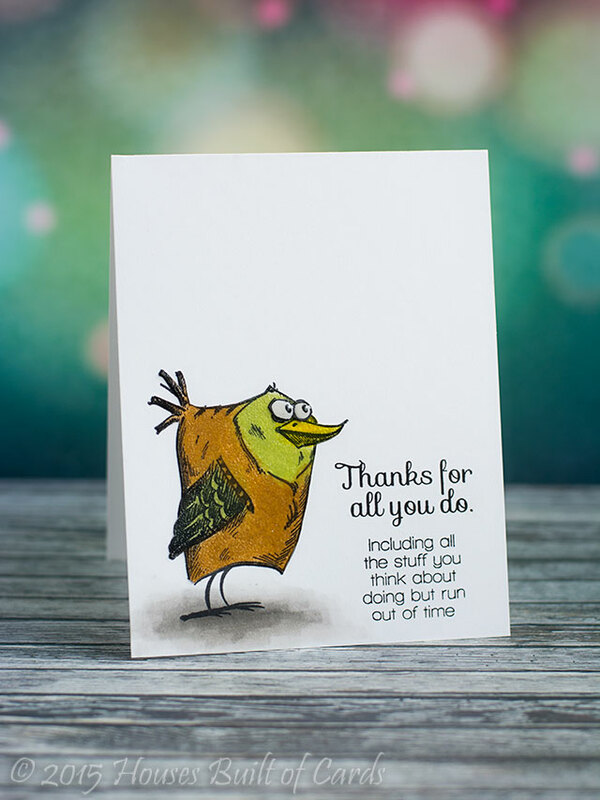 Just popping in with a quick catch up card from last year - another Dirty Dozen card! 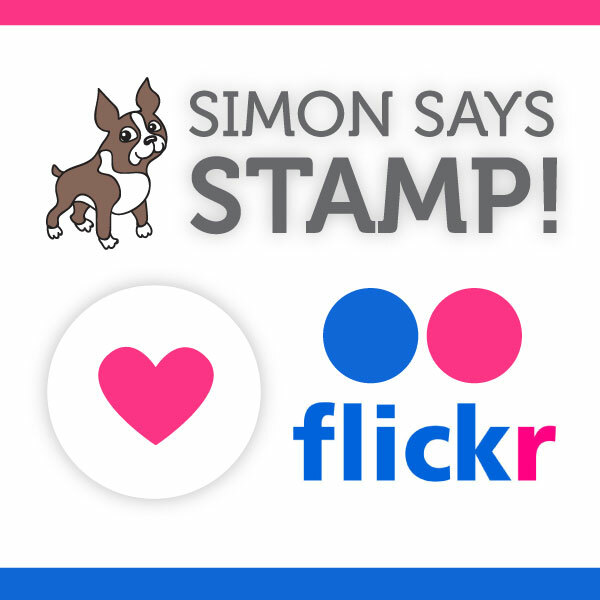 I always loved this Sunday School song, and was so excited to see a stamp set from Neat and Tangled featuring this song, and many others - called (appropriately!) Sunday School Songs. 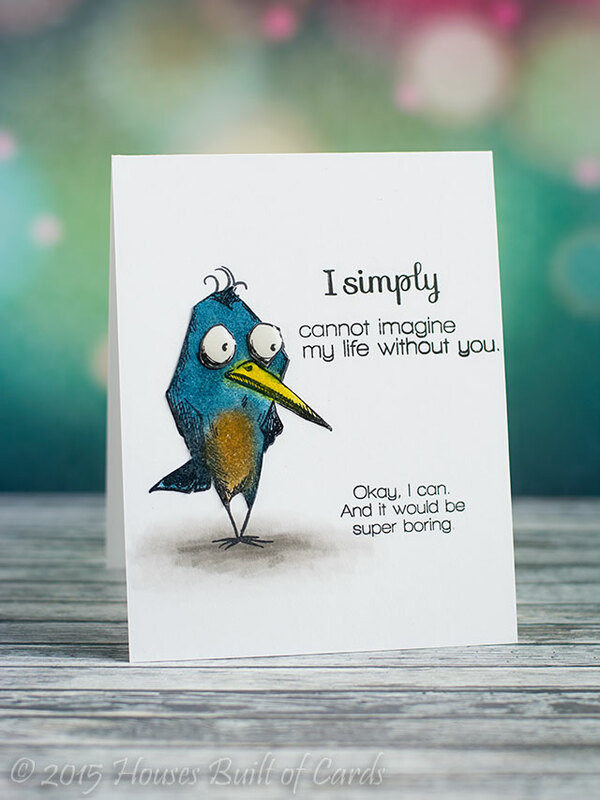 For this card, I used a die cut vellum shape to stamp my sentiment, then sewed it to my pattern paper with some sequins tucked inside - to make a sort of shaker card! Kind of a fun effect! Thanks for dropping by! hope you are having a wonderful day! Celebrate in Style - Guest Designing for Unity! 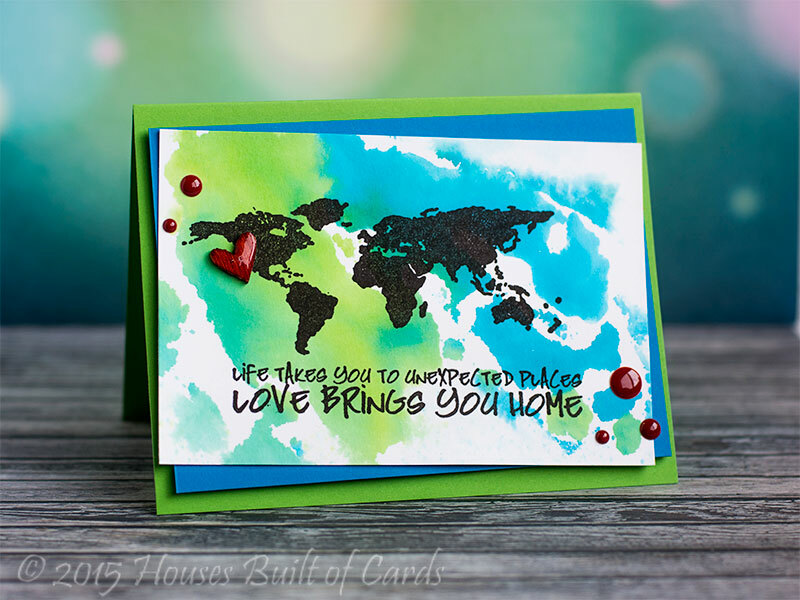 Super Fun News - and a color challenge!